Natural wood needs protection from the elements and from infestation whether it is used in construction, building panels, playground, kitchen appliances or heat treated pallets. The risks of infestation and deterioration are greater if the wood is used outdoors and has to survive constant contact with moisture, heat, cold and insects. This is particularly the case with low durability softwoods that are used for budget garden furniture as well as industrial pallets. Protection for timbers is provided by high pressure impregnation. This provides a coating around the cell walls and cavities that make up the wood structure. The process works though a combination of vacuum and pressure. Air is removed from the cavities by the vacuum and is replaced by a wood preservative. 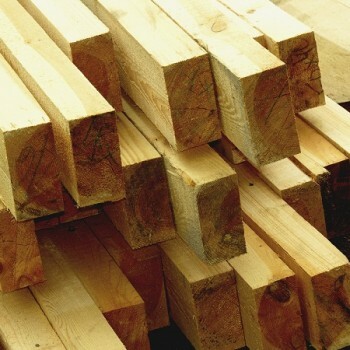 The International Standards for Phytosanitary Measures No 15 – ISPM 15 – are regulations that address the heat treatment of industrial timber of thicknesses greater than 6mm. This treatment is carried out in a pressure vessel called an autoclave. Regulations on timber treatment not only stipulate the design and construction of the pressure vessel, but its operation, maintenance, the risks associated with its safeguarding and the training of personnel involved in the treatment process. Employers are required to take all practical steps to ensure that the treatment processes are safe and do not endanger the health and safety of employees. Appropriate instruction, training, supervision and staff welfare should be provided. This includes changing facilities, a deluge shower to wash any possible of whole body contamination. There should also be frequent check of the equipment for any build ups of waste materials or other detritus. Bolts and welds should be checked regularly for cracking.